Non-Surgical treatments for vision correction in Mississauga, Ontario are available at Erin Mills Optometry. 80% of what we learn as a child is by means of sight. A high percentage of children with learning and reading difficulties have vision-related problems. We offer specialized testing and vision training for kids with learning problems. Vision therapy is an effective, non-surgical, doctor-supervised, and customized program of visual activities designed to correct or significantly improve certain vision problems. Eyeglasses and contact lenses are sometimes not enough to correct all eye vision issues. Vision therapy is like physical therapy for the entire visual system, including the eyes and the parts of the brain that control vision. The visual system is taught to correct itself. The process can include the use of prism lenses, colour filtered glasses, computerized visual activities and non-computerized viewing instruments. Successful vision therapy outcomes are achieved through active collaborative work of the prescribing doctor, the patient and, in the case of children, their parents. The goal in most cases is to achieve clear, comfortable binocular vision. 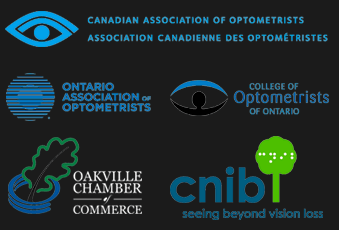 If you think that your child may benefit from vision therapy and you’re not sure if it’s appropriate, we invite you to book an appointment and talk to one of our Mississauga Optometrists. Together, we are your partners in great optical health. Studies have shown that vision therapy can correct vision problems that interfere with efficient reading among schoolchildren. It also can help reduce eyestrain and other symptoms of computer vision syndrome experienced by many children and adults. Get an assessment by a trained vision therapist to learn if it can help resolve the vision problems that are present.